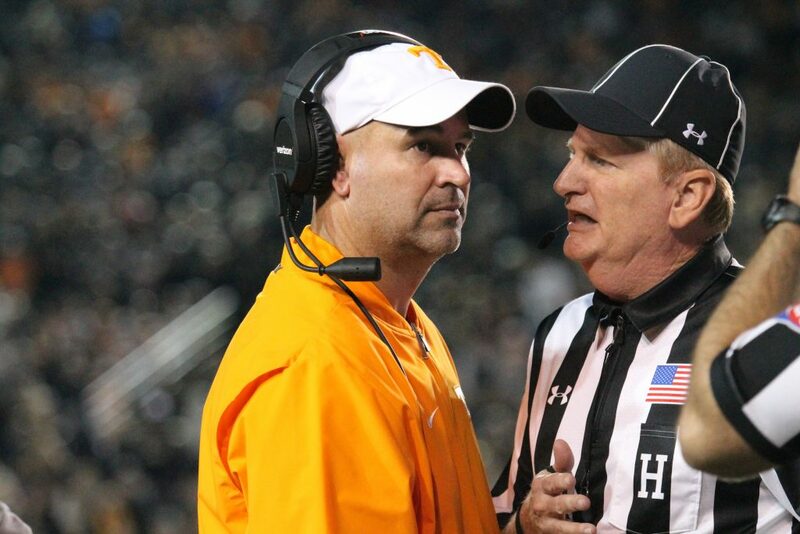 Tennessee’s search for an offensive coordinator has reached the weekend. The Vols may name an OC this weekend, or they may wait a little while longer. There’s no set timetable for an announcement as of yet, so while deliberations are still ongoing, we wanted to take a look at who we want to see UT hire and who we think they’ll end up hiring. Managing editor Nathanael Rutherford and staff writer Ben McKee list their top three candidates they want to see take the Vols’ offensive coordinator job, and they also give their three candidates they believe Tennessee is most likely to hire. Here’s a look at who we want Tennessee to hire as OC and who we think they’ll ultimately end up getting for the job.